On this exciting tour, you'll hike through the secondary rain forest around the Arenal Volcano National Park, the site of the 1968 eruption that awoke this previously dormant volcano. 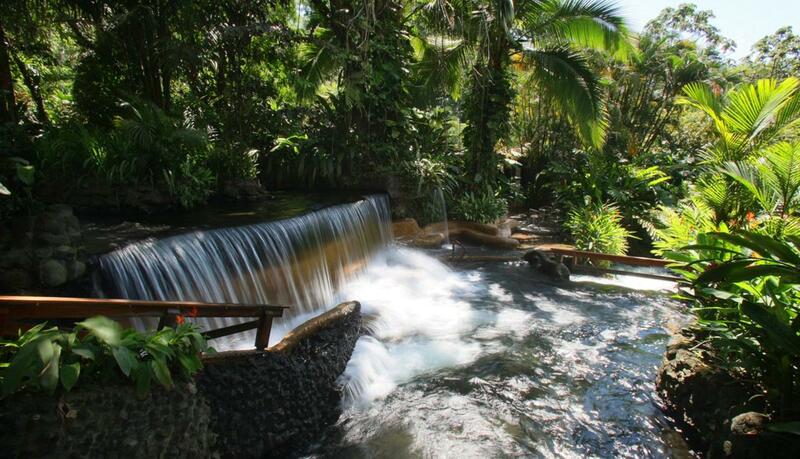 After exploring the national park, you will go to the Tabacon Hot Springs for an evening of relaxation. 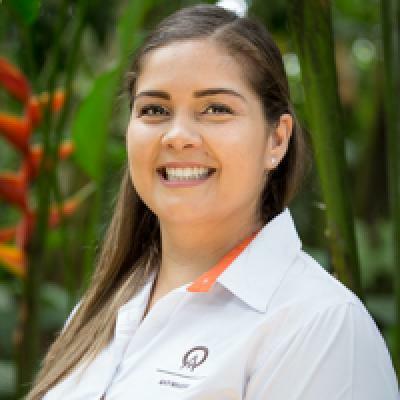 To begin the tour, you will be picked-up from your hotel and driven to the Arenal Volcano National Park, where you will walk along the old lava beds in the park. Along the beautiful hike, you'll learn about the active volcano, the tropical forest surrounding it and the abundant wildlife from an informative guide. Perhaps the most fascinating part of the tour is what you will learn about this captivating ecological paradise. Next you will be going to the Tabacon Hot Springs, a truly luxurious, world renowned resort. This natural hot spring resort features a hot river that flows through a series of pools and tributaries. From cascading falls to tropical gardens, Tabacon is a very unique location, very well deserving of its immense popularity. Following the relaxing hot springs, the group will enjoy a delicious meal at the Tabacon resort. Important Notice: Tabacon have very strict cancellation policies, so any modification or cancellation 15 days before the day of the tour, will be penalized in full. Closed toed shoes/hiking shoes, a camera, swim suit and water shoes, a light (rain) jacket. If desired, extra clothes to change before lunch or dinner. All transportation, a guide, full meal, entrance fees. "Our guide was Roy and he was quite helpful. We saw so many cool things including the eyelash viper snake. Cool!" Our guide was Roy and he was quite helpful. We saw so many cool things including the eyelash viper snake. Cool! "7-star resort" is what we were told and we largely agree! If you're in Arenal and want to relax, there is no better place. My wife and I both loved our time here, and although we spent almost 4 hours here, we wish we had had more time to spend here because it was such a great experience. Stunning nature views. The hot springs are a must-do. We really enjoyed the hot springs. They were extensive and quite relaxing. The dinner was really nice, with lots of variety and good quality food. Our guide was hector and he was AMAZING!!!! He showed us lots of birds and animals. He was very nolegable about the volcano and its history. The hot springs were phenomenal, we saw lizards, geckos and iguanas. The hot springs were beautiful and the water was very warm and relaxing. Really great experience.